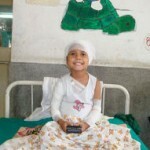 In addition to our main activities, Gomde Trust aims to support humanitarian projects across the Himalayas. In these regions the monasteries are the centre of many social and cultural activities. Through them it is possible to reach out to grass roots projects. Any donations for projects sponsored by Gomde trust are elegible under the government Gift Aid scheme, benefiting the charity and giving any British donor tax benefits. Tulku Urgyen Rinpoche asked Chökyi Nyima Rinpoche to to build a monastery at Lumbini. The Nepali government has donated enough land for a big monastery. It will be called Pal Thubten Shedrub Ling. 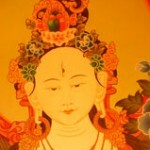 Monlam.org is a service of Ka-Nying Shedrub Ling, a Buddhist monastery in Kathmandu. Through this site you can sponsor Buddhist prayers to help yourself and others. Your donations help support monks and nuns who perform the prayers, and help educate young Tibetan refugees. On 11 th November 2008 Vajra Varahi Healthcare opened it’s headquarters and clinic in Chapagaon in the Kathmandu Valley. Built with the support of students it is staffed by paid Nepali staff and overseas volunteers. This year, one UK Sangha member who is an optometrist has been gathering donations of eye-testing equipment to take to Vajra Varahi Healthcare in the new year. Rangjung Yeshe Shenpen is a charity run by Phakchok Rinpoche, which is dedicating to helping poor people in Nepal. New School in the remote area of Manaslu in Nepal, being supported by Trustee Dr James Hogg and his family. The Medicine and Compassion Project seeks to balance modern medicine’s emphasis on technical and scientific achievement with a renewed focus on the needs of the patient. Medicine and Compassion: A Tibetan Lama’s Guidance for Caregivers, by Chokyi Nyima Rinpoche with David R. Shlim, M.D., represents a Tibetan lama’s advice to harried caregivers.